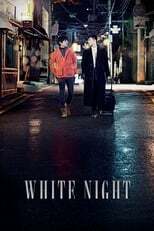 After a prolonged interval of time, a man returns to korea from abroad; the events unfold as he meets his lover whom he had left behind at a cafe. Baek-ya is directed by Hee-il Leesong and was released on Nov 15th, 2012. Director Hee-il Leesong's Drama movie Baek-ya is produced by Cinema Dal & was released 2012-11-15.